If you know me personally, then you might know that Im not much of a beer drinker at all. I perfer my alcohol in its purer forms, and cocktails. However there are a few beers that I will drink especially after I have had a bit to drink. Red Stripe and Heineken Light are my go-to beers. I have been trying to sample Japanese beers thanks to ChicKa. So far, I have tried Sapporo and Kirin Ichiban. Between the 2, I like Sapporo the best because it has a lighter taste. However, I am still in search of Yebisu beer here in the Tampa Bay area. For some reason, I cant find that anywhere. WhatJapanThinks.com (Great site if you have never checked it out before) posted a poll earlier in the year that shows Yebisu is Japan’s #1 Premium Beer. 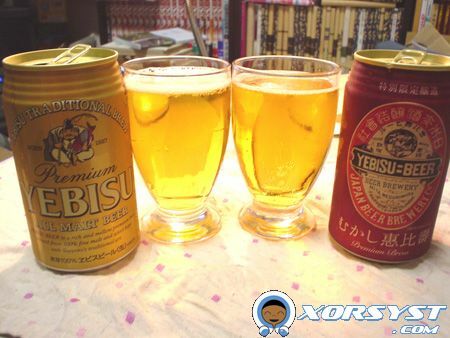 If you know where to find Yebisu in Tampa Bay, please send me an email!